Boken ges ut på engelska. When the financial crisis of 2008 hit the world some countries responded with cutbacks and swift reforms. Others dug in and resisted change. Why do nations respond so differently in the face of adversity, and what are the consequences? In recent years economists have shown convincingly how a countrys institutions determine its growth rate and development. In Renaissance for Reforms this analysis is taken one step further. What does it take for nations to improve their institutions? Is a crisis a necessary condition? 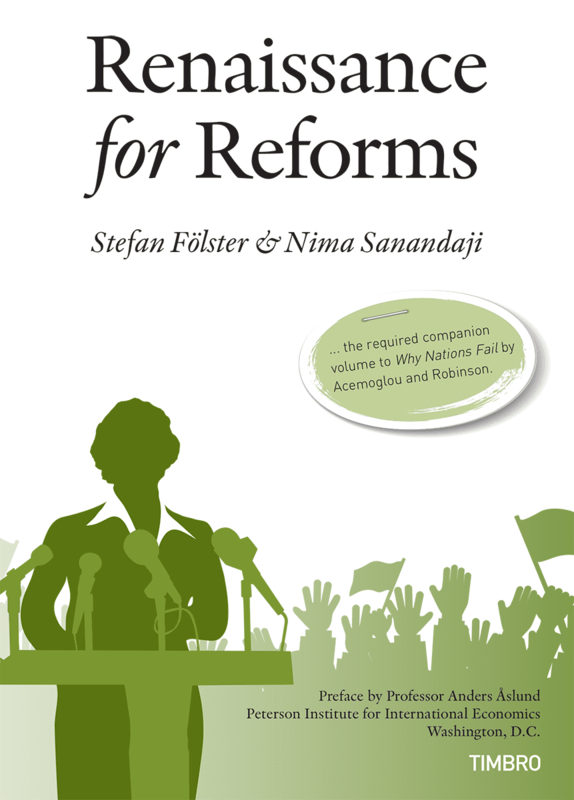 Can politicians get re-elected after introducing market-oriented reforms? How have such reforms helped countries during the recent financial crises, and what lessons are there to be learned for the future? These issues are addressed based on current research and the authors own analysis.